For the second activity of day 7 for the Winter Learning Journey, we had to take an photo of our self relaxing. What I took a photo of was me lying down on a mattress resting from all the work I had previously done. Hi Jack. I also find sleeping relaxing. Another thing that makes me feel relaxed is watching YouTube. You have completed this task very well. I also find sleeping relaxing. What else (Apart from sleeping) do you find relaxing? I also find reading and going on my computer relaxing. Well done. I took a photo of me sleeping too! I mean what is more relaxing than sleep? I like how you said that you were resting from all of the work you did. 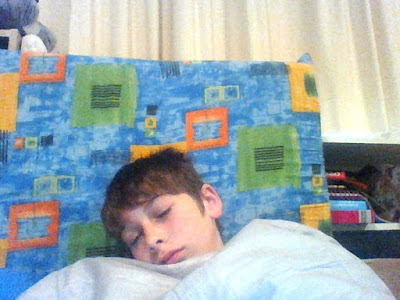 Hello Jack, I also took a photo of myself sleeping. Another thing that makes me relaxed is playing games. Keep on working hard. I hope that you had a relaxing holiday and that you returned to school ready to have a wonderful term. It is going to be great!